Eat Organic? 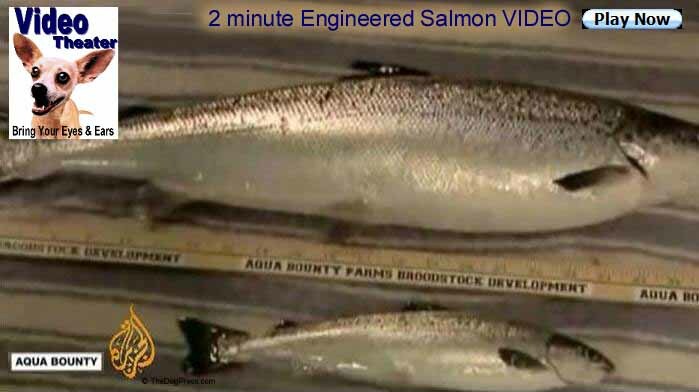 Herbicides are now gene-spliced right into food crop seeds, bypassing pesticide regulations into food supply-GMO bull photo shows shocking results, plus salmon VIDEO below. Plants and flowers have been “genetically modified” since the beginning of time. Natural selection via evolution creates its own survivors and hybrids. Man has added to the mix by creating hybrids that yield stronger crops, prettier flowers and hardier flora. The herbicide resistant (Round Up Ready) seeds give farmers higher yield. The food industry has focused on feeding an ever expanding world population with affordable foods. But there are things we must take into consideration. 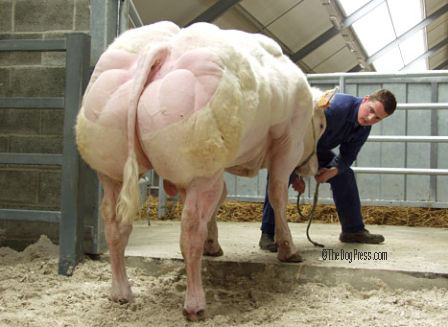 This Genetically Modified (GMO) bull will produce more meat per pound of body weight. He is a graphic example of what genetic engineering can accomplish. See Video Theater link below but first, learn what is so disturbing and unseen by consumers. It starts with food crop seeds. The original herbicide resistant RUR (Round Up Ready) seeds were developed by Monsanto. They include, but are not limited to, alfalfa, canola, corn, cotton, sorghum, soybeans, sugar beets and wheat. A glyphosate (the herbicide in Round Up) is spliced into genes of the seed so that farmers can continue to spray the crops with herbicides and pesticides without killing the food crop. Yes, there are federal and state regulations about how much herbicide and pesticide residues are allowed in food and our food supplies because they have been sprayed with poisons for decades. These chemicals can and do runoff and enter our water supplies and some remain in the top soil. This contamination can affect each successive generation of crops. Other companies are beginning to follow Monsanto’s lead and develop their own herbicide resistant crops. A search for “herbicide resistant” on the U.S. Patent website turned up over 11,700 hits. A search for Monsanto turned up over 22,000. GMO foods are here to stay. Food companies are a well -funded and powerful lobby. Guess what? They are against labeling their food$ that contain GMO crops. In truth, such labeling costs will be passed on to the consumer and food prices will continue to rise. The question at issue is: Are we not only ingesting the residue of poisonous chemicals when we eat GMO plants, but are we also eating herbicides that are part of the plant's new makeup? After all, amino acids have been spliced and modified to resist Round Up and those amino acids are the building blocks of life. Do the GMO plants provide all the necessary amino acid chains as would non-GMO crops? The public should be informed of what they are purchasing. Some brands labeled “natural” actually use GMOs. These include Arrowhead Mills, Breadshop, Celestial Seasonings, Health Valley and Cascadian Farms, to name a few. Further research indicates these companies are owned by and have principal stockholders like Entergy Nuclear, Exxon Mobil, Lockheed Martin, Merck, Monsanto, Pfizer, Philip Morris, Waste Management, Alcoa, Chevron, Dupont, McDonalds and Philip Morris. What is true for human food also holds true for animal food. Read your labels and if you have any questions, search authentic sites such as TheDogPlace.org and contact the manufacturer with your questions and concerns. You may be interested to know that Monsanto’s first big money making product was saccharin. Later came sulphuric acid, PCBs, DDT, aspartame, polyeurathanes and Agent Orange. Monsanto assisted in the development of the first nuclear weapons. They purchased Cargill’s and DeRuiter’s seed businesses. Monsanto is George Soros’s (Open Society Institute) second largest stock holding. Many claim that Monsanto wants to own and patent all the seeds in the world. They are certainly rich and powerful enough to fulfill that goal. With a stable of well-paid and powerful attorneys, they have sued numerous small farmers for what they deem illegal use of their seeds. For instance, according to Monsanto, it is illegal for farmers to use seeds from the original contracted crop to plant a second year crop. They have even sued farmers when GMO plants are found on farms that have never bought a GMO seed. These seeds have blown onto farms by the wind or deposited by bird droppings – even pollinated by bees that have been in a GMO field. Another consequence of all this herbicide use and man-made herbicide resistant crops is that super weeds are emerging at an alarming scale. It stands to reason that someone will want to develop more potent poisons to control those weeds. Dow Agrosciences has a new GM product that is based on a chemical that was a component of the Vietnam war defoliant, Agent Orange. Just recently, the EPA published a final rule to increase of glyphosate residue levels in our environment. Objections to this rule must be received by July 1st, 2013. It seems there could be a never ending increase of contaminants in our already jeopardized food supplies. 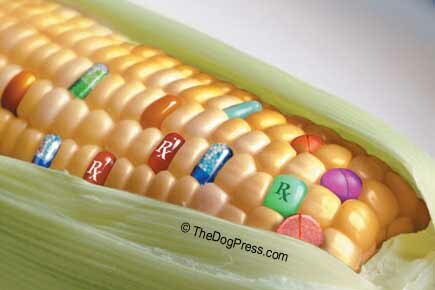 Monsanto has friends in high places like the FDA/APHIS, and many other government agencies. Some are ex-Monsanto employees and others have been given generous donation$. Margaret Miller, a Monsanto researcher wrote a “scientific” report about the safety of GMO foods. 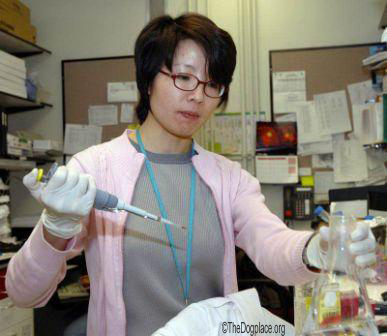 Shortly before the report submission, she left Monsanto and was hired by the FDA. Her first job? To determine whether or not to approve the report she wrote! The same happened regarding a report of whether rBGH milk should be labeled. Michael Taylor, a former Monsanto lawyer, who also worked for the FDA had that assignment. OK, so food can be tested to determine if it is GMO or not, but isn’t there a definite conflict of interest with the above alliance because of who their clients are? And what about other alliances, companies and organizations that are in place to certify food as being “organic. ?” Can they be honest and make money at the same time? The solution to avoiding GMO foods is to buy organic foods and then to be sure to do your research on those food sources. Support your local farmers and those who refuse to buy Monsanto and other GMO seeds. Get involved with the Local Food Movement in your area and find out where you can by organic, non-GMO foods. We the people need to send a message to the industrial food complex that we refuse to buy products that may damage our health. Also be aware that there is currently no regulation in the pet food industry that requires labeling GMOs either. Buy foods labeled organic or GMO free. Don’t be fooled by claims of “healthy", "natural", "premium" and "recommended by" on pet food labels. Avoid soybeans, canola, corn, wheat and sugar from sugar beets as these crops have a high likelihood of containing GMOS. Contact the manufacturer if you are unsure. Many dog owners “feed raw” and prepare the food at home. 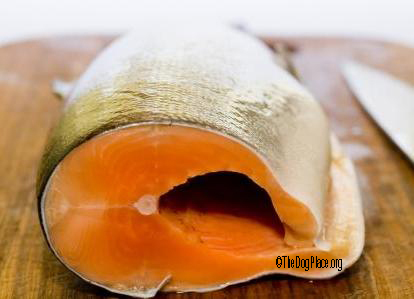 Here are just a few pet food products that contain highly questionable ingredients. We might expect it from the less expensive brands and store brands, but ALWAYS read the label before buying. Do not be fooled by persuasive advertising. Science Diet / Hill's Prescription Diet Owned by Colgate Palmolive, Contains corn, corn Gluten Meal, wheat, soy, cellulose, dried Beet Pulp, meat, pork and chicken by-products, BHA/BHT, propyl gallate. 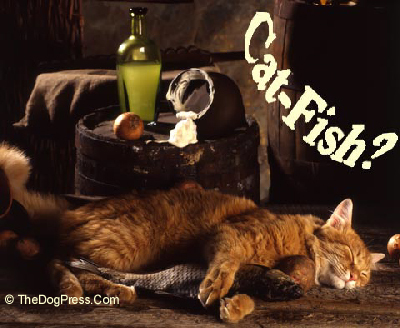 Purina - Makers of Beneful, Pro Plan, Purina ONE, Alpo, Dog/Cat Chow, Friskies, Fancy Feast, Purina Prescription Diets & More (Nestle) Contains corn, corn gluten meal, wheat, soy, sugar, propylene glycol, dried beet pulp, meat by-products, meat and bone meal, powdered cellulose, artificial colors, preservatives. Pedigree (Mars Candy Bar Corporation) Contains Corn, Corn Gluten meal, wheat, dried beet pulp, meat by-products, GHA, GHT. Whiskas (Mars Candy Bar Corporation) Contains essentially the bad ingredients above with the addition of ethoxyquin – used as a preservative and pesticide. 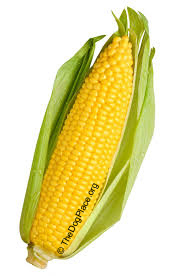 It has been banned in human food because it is a carcinogen. Iams / Iams Veterinary Formulas (Proctor and Gamble) The same ingredients as above, including the ethoxyquin. This one has basically the same GMO type ingredients except ethoxyquin but it does have BHA and Propyl Gallate. Include Fancy Feast Nestle Purina), Kibbles ‘n Bits (Del Monte), Cesar and Nutro (Mars Candy Bar Corporation) and Eukanuba (Proctor and Gamble) to this list. Do the benefits of GE foods outweigh the possible health risks? You decide but our advice is that in the meantime, do your research, read labels and buy organic. Noteworthy since this research article was published in 2013 and widely circulated on the internet and subsequently, facebook and other social media, dog food manufacturers have been economically forced to offer no-grain pet food products. We also congratulate wise shoppers for the removal of many sub-standard dog food labels. Further Reading: use your search engine as some of these reference articles have been moved or renamed. Deconstructing Monsanto | Monsanto vs. the World | The World According to Monsanto: Pollution, Corruption, and the Control of the World's Food Supply | The Seeds of Deception. Genetically altered foods alter human and animal DNA. Engineered carrots that sterilize but FDA won't label GMO foods. Honesty in labeling? Organic isn’t the same as GMO-FREE!